Do you have a story you want to present to the world, but you need some help to make it shine? 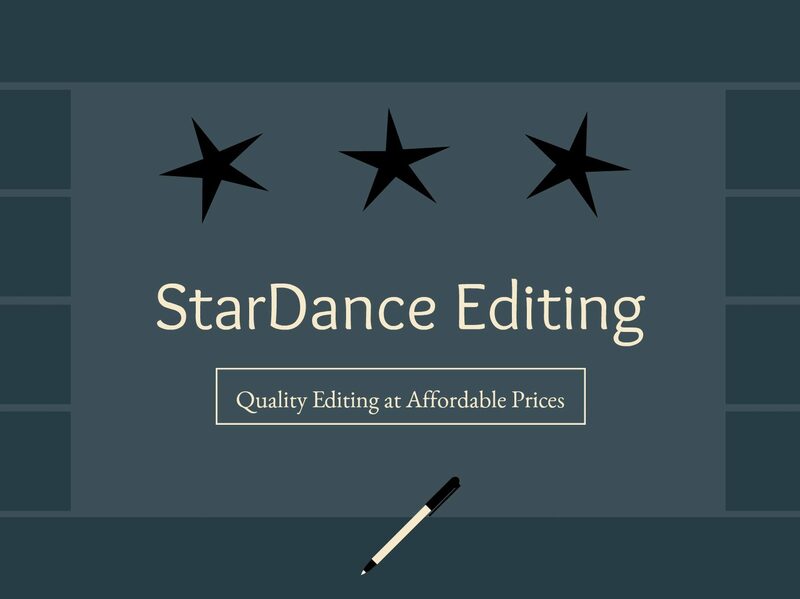 StarDance Editing is here to help! I offer manuscript critiques as well as proofreading services for both novels and short stories. Welcome to StarDance Editing, the sister site of StarDance Press! Here is where I switch hats from author to editor, and I’m so pleased to do so. A little about myself: I write fiction under the names E.L. Bates and Louise Bates. For about ten years, along with writing my own books, I’ve been critiquing and proofreading manuscripts for now-published authors. It’s work I take a great deal of satisfaction in, polishing up gems to help bring out the beauty hidden within their depths. And now I’m offering those same services to you! Visit my Editing Services page to see what I have to offer, and choose which package is right for you. Have some questions? Feel free to email me at elouise.bates@gmail.com.